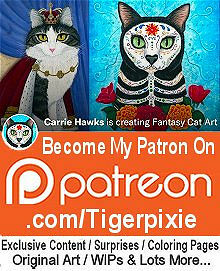 Kitten With Heart - Earrings - How can you not love a pink princess big eyed kitten wearing a tiara ..
Kitten With Heart - Cuffed Bracelet - How can you not love a pink princess big eyed kitten wearing a..
Kitten With Heart - Ring - How can you not love a pink princess big eyed kitten wearing a tiara crow..
Kitten With Heart - Cameo Necklace - How can you not love a pink princess big eyed kitten wearing a ..
Kitten With Heart - Prints - How can you not love a pink princess big eyed kitten wearing a tiara cr..
Kitten With Heart - Bookmark - How can you not love a pink princess big eyed kitten wearing a tiara crown, hugging a huge red heart! 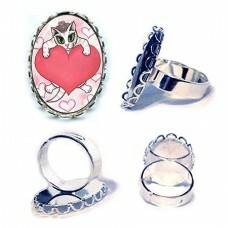 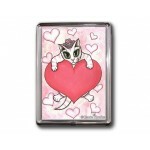 She is adorable & purrfect for Valentine's Day or the little princess on your gift list! 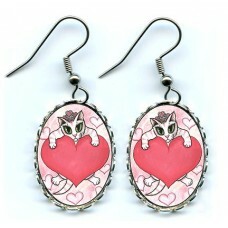 Kitten With Heart - Earrings - How can you not love a pink princess big eyed kitten wearing a tiara crown, hugging a huge red heart! 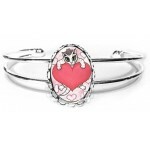 She is adorable &..
Kitten With Heart - Cuffed Bracelet - How can you not love a pink princess big eyed kitten wearing a tiara crown, hugging a huge red heart! 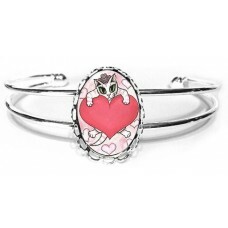 She is ado..
Kitten With Heart - Ring - How can you not love a pink princess big eyed kitten wearing a tiara crown, hugging a huge red heart! 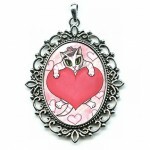 She is adorable &..
Kitten With Heart - Cameo Necklace - How can you not love a pink princess big eyed kitten wearing a tiara crown, hugging a huge red heart! 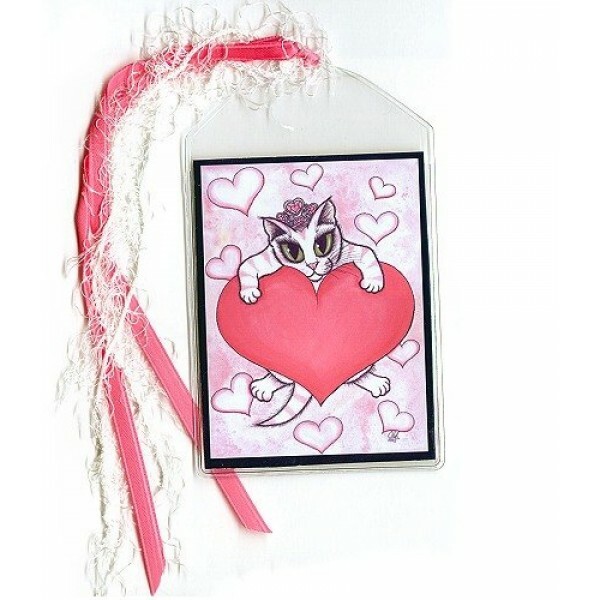 She is ador..
Kitten With Heart - Prints - How can you not love a pink princess big eyed kitten wearing a tiara crown, hugging a huge red heart! 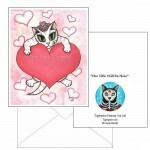 She is adorable &am..
Kitten With Heart -Note Card- How can you not love a pink princess big eyed kitten wearing a tiara crown, hugging a huge red heart! 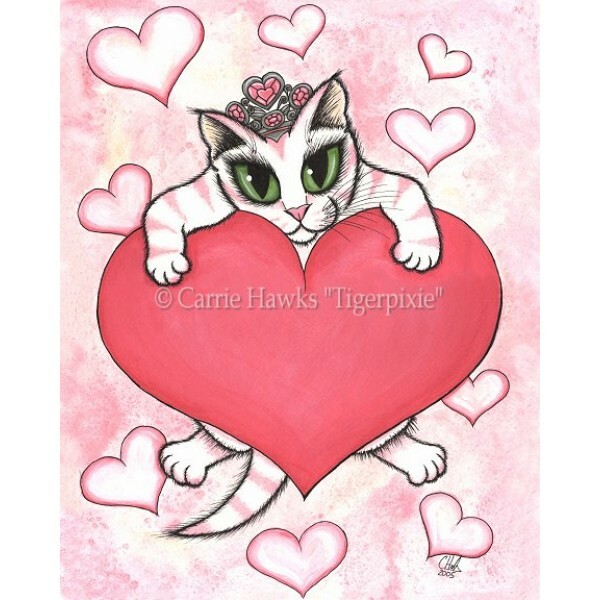 She is adorable &a..
Kitten With Heart - Magnet - How can you not love a pink princess big eyed kitten wearing a tiara crown, hugging a huge red heart! 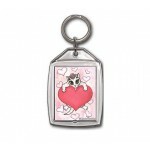 She is adorable &am..
Kitten With Heart - Keychain - How can you not love a pink princess big eyed kitten wearing a tiara crown, hugging a huge red heart! 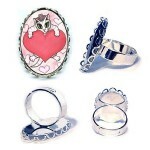 She is adorable &..